An incredible opportunity popped up for me recently, and I’d like to share it with you. 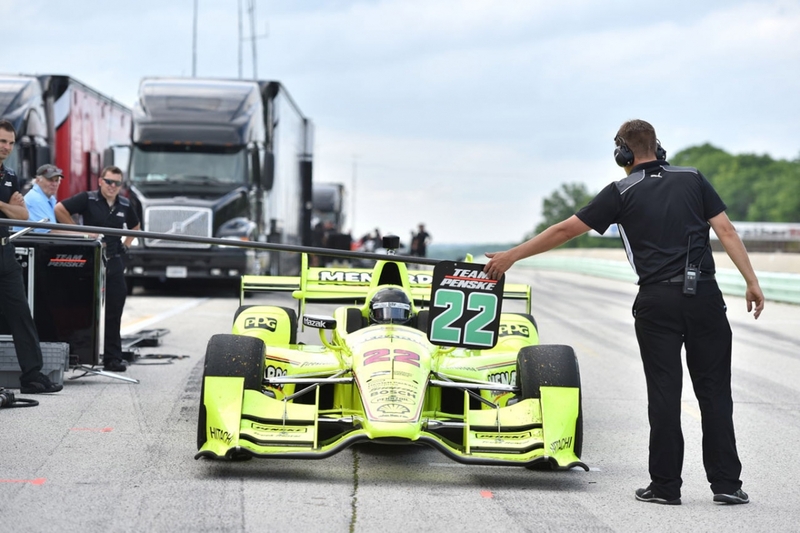 There was an IndyCar test at Road America a couple weeks back, and Team Penske president Tim Cindric told me that they were looking for someone to drive a car. 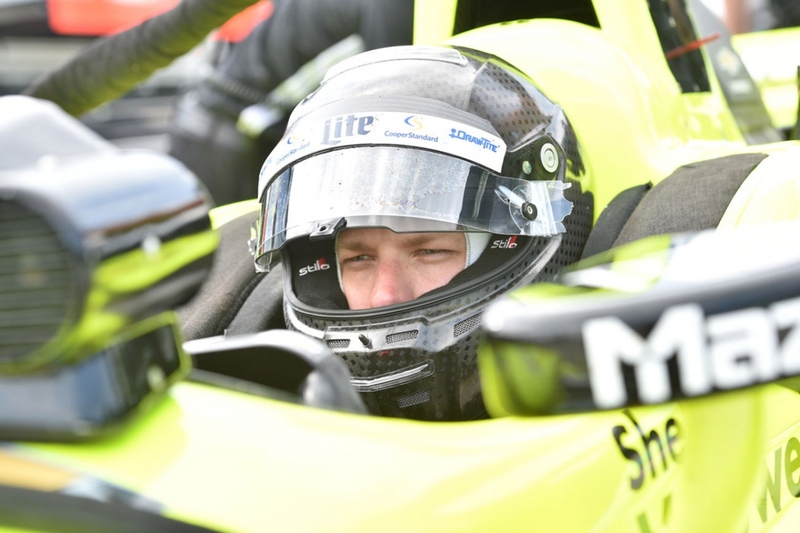 I’m a NASCAR driver and have no intention of being anything else, but I’ve made it known for quite some time now that I’m very interested in the IndyCar side of things. It’s kind of on my bucket list personally. I’ve made it known for quite some time now that I’m very interested in the IndyCar side of things. It’s kind of on my bucket list personally. IndyCars are such raw race cars, with so much speed and capability. For a long time, IndyCar was bigger than NASCAR. Then IndyCar split into two different leagues—if you can imagine the AFC leaving the NFL and starting its own league, it was kind of like that. The popularity of both leagues went down, and partly because of the split, stock car racing took over. But the thrill and excitement of IndyCar racing has always remained intriguing to me. So when Tim asked me if I wanted to do it, there was only one answer. From there, I had to check off on a few things. I had to check with Paige. IndyCar racing is more dangerous. It’s open cockpit and open wheel. It’s a lot easier to get hurt. Part of respecting the ones you love is letting them have some input on decisions like that, where you’re putting yourself at risk. I had to check with the No. 2 team, and make sure they knew that I wasn’t going quit and race IndyCar overnight. I was going to keep my day job. It was good. I didn’t want it to become a distraction, and one of the other perfect things is that it was in the midst of an off weekend. Finally, I had to check with my mom. When I first started racing, my mom told me it was OK for me to race as long as I didn’t race open wheel. Once we did get going, I learned a lot. That was really special. We didn’t tell any media before hand, which prevented it from being a bigger story than it could have been. But there was potential bad weather in the forecast, and the last thing we wanted to do was announce that we were doing it, and then not do it. The feel of the cars is so fast. At Road America, they have signs that say how many feet from the apex of the corner you are. The signs go in 100-foot increments. In NASCAR, at the 500-foot mark, you’re getting into the corner really deep. In the IndyCar, you could drive to the 200-foot mark. Basically, in an IndyCar, you can turn much later into the corner. That was really hard for me to pick up. It’s a big game changer for sure, how much harder you can drive the car, and that the car has the grip level to do it. It’s so light, it has so much downforce, and has really high quality brakes. That took me a little while to get used to. The car pulls a few more Gs to the corner, and that took a little getting used to as well. It’s a little bit harder on your neck and your triceps. The day after, I could feel it a lot in my triceps because the steering wheel is a little bit farther away, and you have to hit all the buttons. Another thing that was interesting: We see all the time in that world that drivers get into the car, and let someone else buckle them in. In the closed cockpit, stock car world, we make fun of that because as a driver, we get into the car, and put our own seatbelts on. But after getting in an IndyCar for the first time, I realized why they do that. The cockpit is literally so small that you cannot move to put your own seatbelts on. That kind of hit of me as a, “Wow, that’s a way different feeling.” In the same way, NASCAR drivers make fun of IndyCar drivers because of the design of their firesuits. The firesuit is described as a “European design,” but essentially, they look like skinny jeans. Again, that’s because of the cockpit being such a tight space. It keeps the firesuit from being a problem. Another thing that’s really different is the clutch. Most people think clutch, and they think of using your foot. Not in Indy car. The clutch is all done by hand. You use your fingers to change gears. That was hard to get a feel for as well. I managed to get two hours out there when the track was dry, and when I got up to speed, I was quite aways off from respectable times. But I worked my way up, and by the end, I was within two seconds of Simon’s average speed. When it was all over, I wished we’d had a little more time. I know I could have kept getting better. But all in all, it was a pretty remarkable experience, and I have to say thank you to the IndyCar folks, Team Penske and Simon. Simon is having a great season, leading the points (and deserves a ton of credit for it). I couldn’t have asked for a better teacher. He was great. People keep asking me if I’d want to do this again, or if I’m going to be racing in IndyCar. I can’t give an answer about that today. But I can say that Road America was an eye-opening experience, and a chance for me to know what an open wheel opportunity might look like going forward.